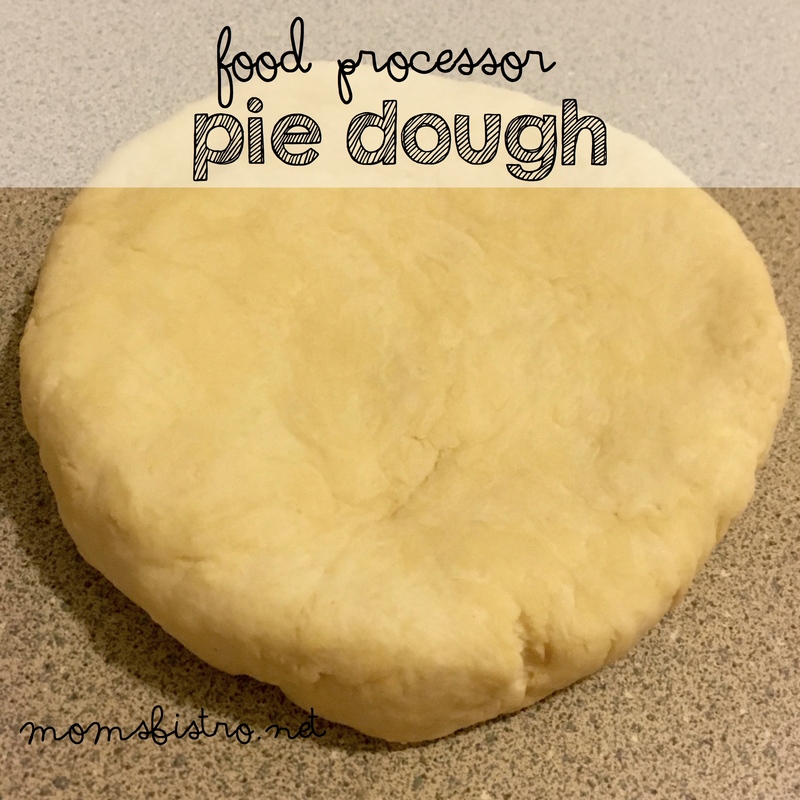 Pie at Thanksgiving is almost everyones favorite part, but as a host, we usually dread making pie dough from scratch because it takes forever and makes a big mess, BUT if you have a food processor, homemade pie dough can be made in about 10 minutes – including clean up. 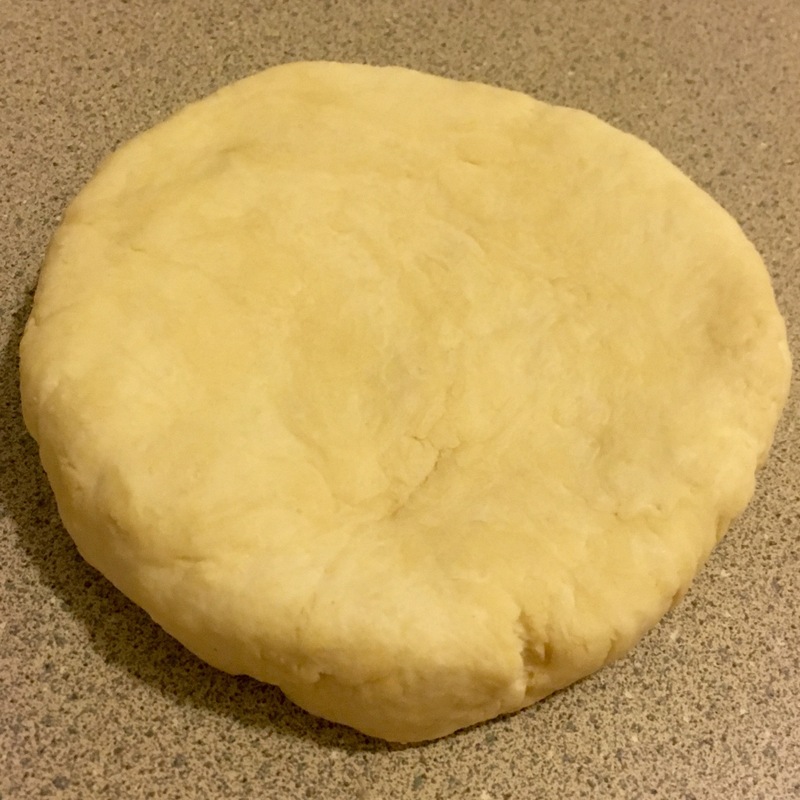 I’ve shared the handmade recipe for this pie dough before in a recipe for Chicken Pot Pie (make extra pie dough and substitute turkey for a fantastic Thanksgiving leftover recipe) with a few tips about how to make perfect pie dough every time. Your nutter and water should be very, very cold. 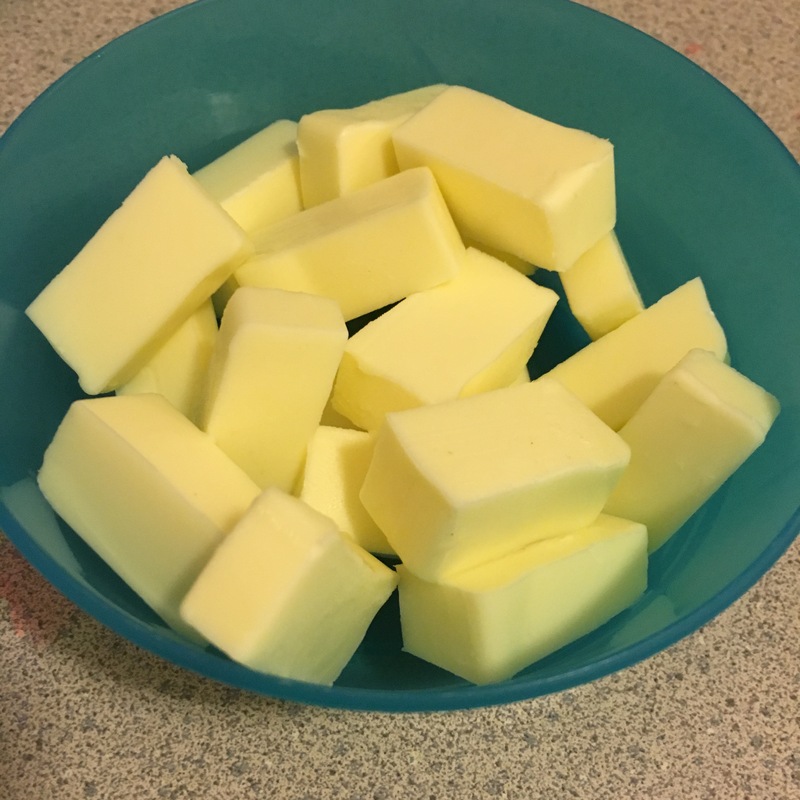 Plan ahead, and cut your butter into cubes a day before and freeze them until you’re ready to make your pie dough. Also freeze the bowl and blade of the food processor to make sure everything stays extra cold. 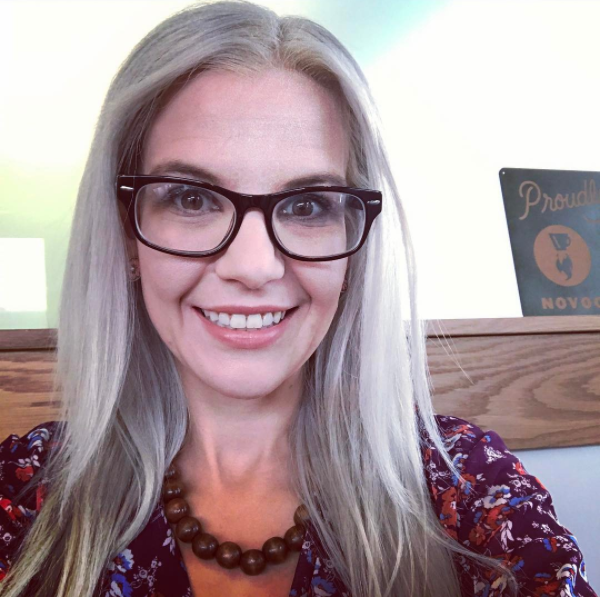 The colder the ingredients and equipment, the less chance there will be fore the butter to melt or become overworked – a definite enemy to flaky pie crust. 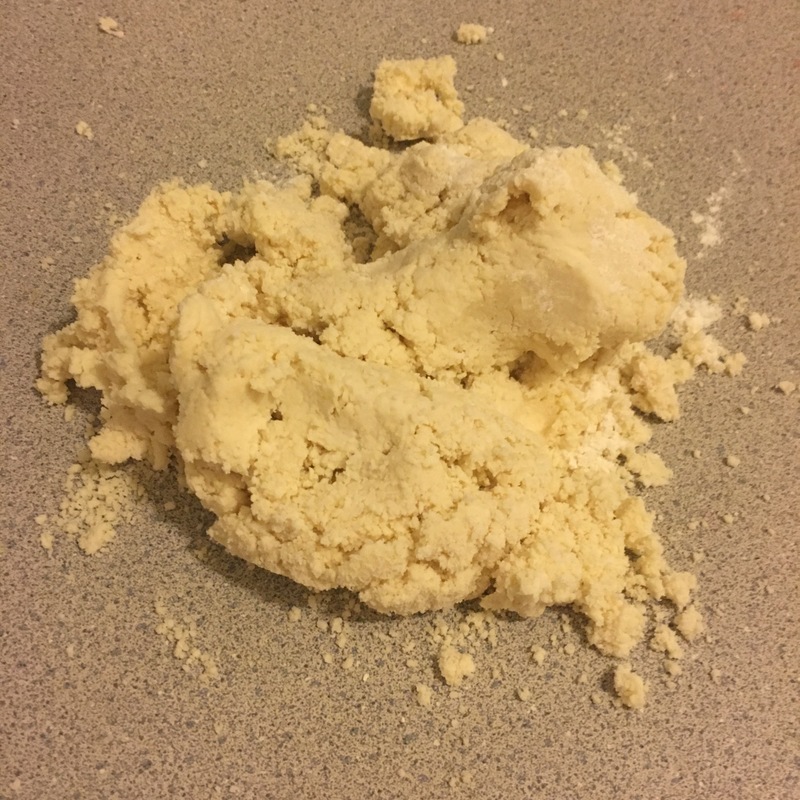 Your dough should look crumbly after you add the butter and water. Avoid overworking the dough by stopping when the dough resembles tiny pea-sized pieces. Allow the dough to chill out in the fridge for at least an hour before rolling it out. 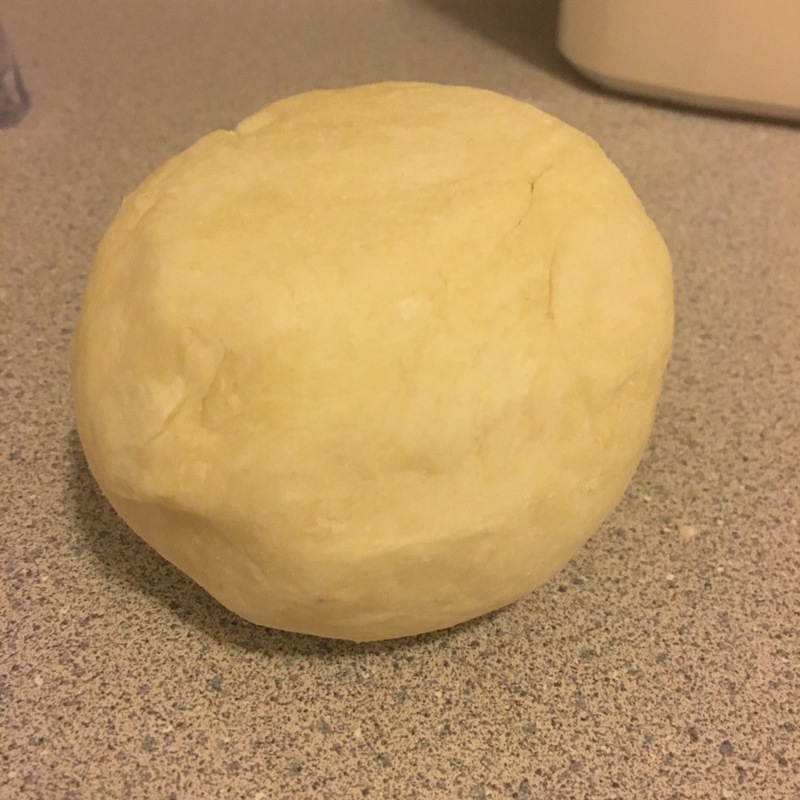 After you’ve done all of that mixing, the gluten needs some time to rest in order to roll out properly and not spring back into a small disc. After rolling out the dough and placing it in your pie dish, place the dish in the freezer for about 10 minutes before filling or blind baking. When the frozen, butter dough goes in the oven, magic happens (well, science) and the dough stays flaky and light. If you’re using the pie dough for dessert, add 2 tbsp of sugar to the flour before adding the butter. If you’re making this dough for a savory pie, add 1 tsp of your favorite spice or some fresh herbs to the flour for extra flavor. Size matters when choosing a pie dish. Pick a dish around 8-9″. The bigger you go, your pie crust is prone to getting soggy. Using a glass dish also helps to make a more evenly baked pie crust. Use pie weights or dried beans to avoid shrinkage. Line the dough with parchment paper, evenly pour pie weights over dough and bake according to recipe directions. Tuck extra dough. Leave a little more dough than you normally would on a pie you don’t blind bake and tuck it under the edges. 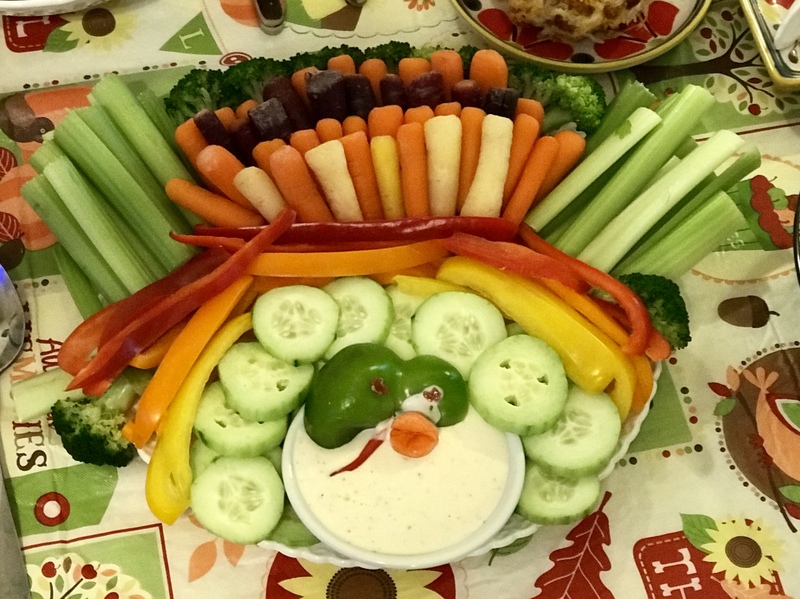 This makes the crust less likely to sink down the sides. Freeze it. Like mentioned above, freezing the dough allows it to stay light and flaky. 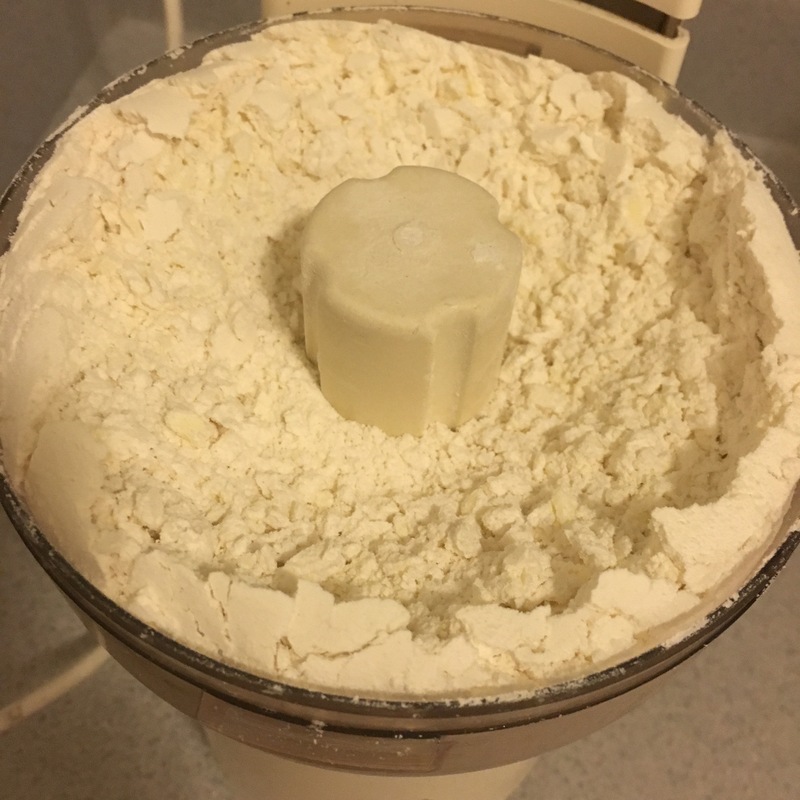 Now, with all of this said, follow this simple, 5-minute recipe below for homemade pie dough in the food processor. 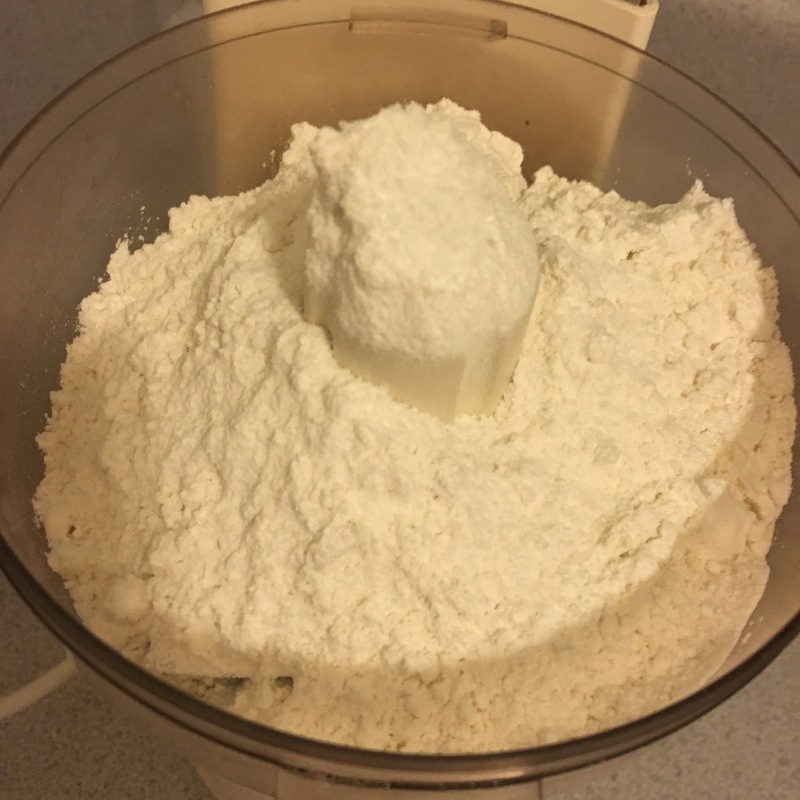 Place flour in the bowl of a food processor and pulse a few times to break up any lumps in the flour. Add salt and frozen cubed butter over the top if the flour. Pulse a few times until you see pea sized pieces of butter throughout the dough. Slowly drizzle in 1 tbsp of water at a time while pulsing food processor just until dough comes together. On a lightly floured surface gently knead dough until it just comes together. Press flat into a disc, cover in plastic wrap and place in the fridge for at least 30 minutes before using. 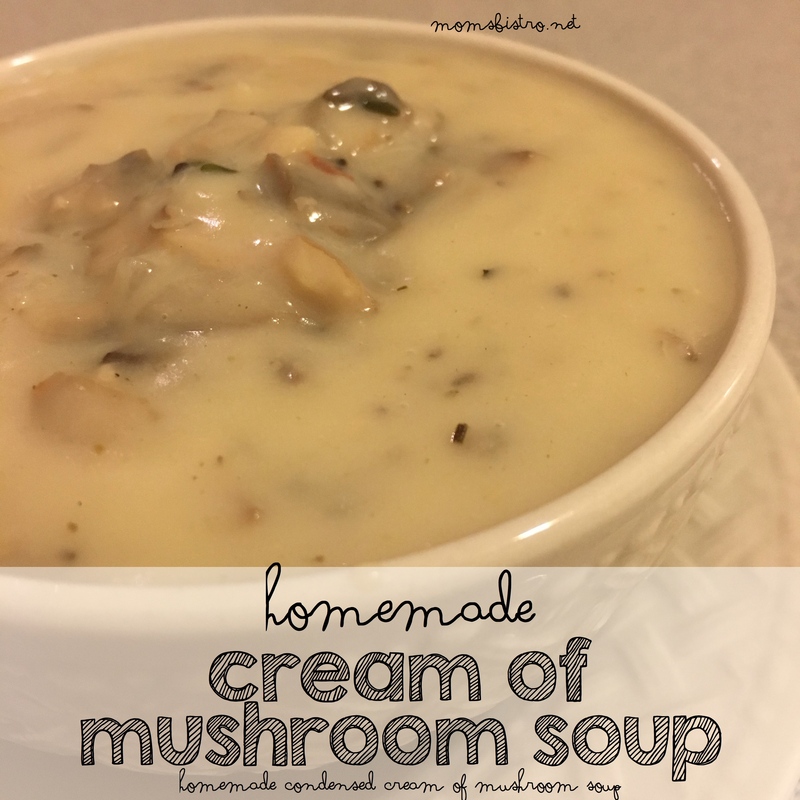 Use in your favorite recipes according to recipe directions. 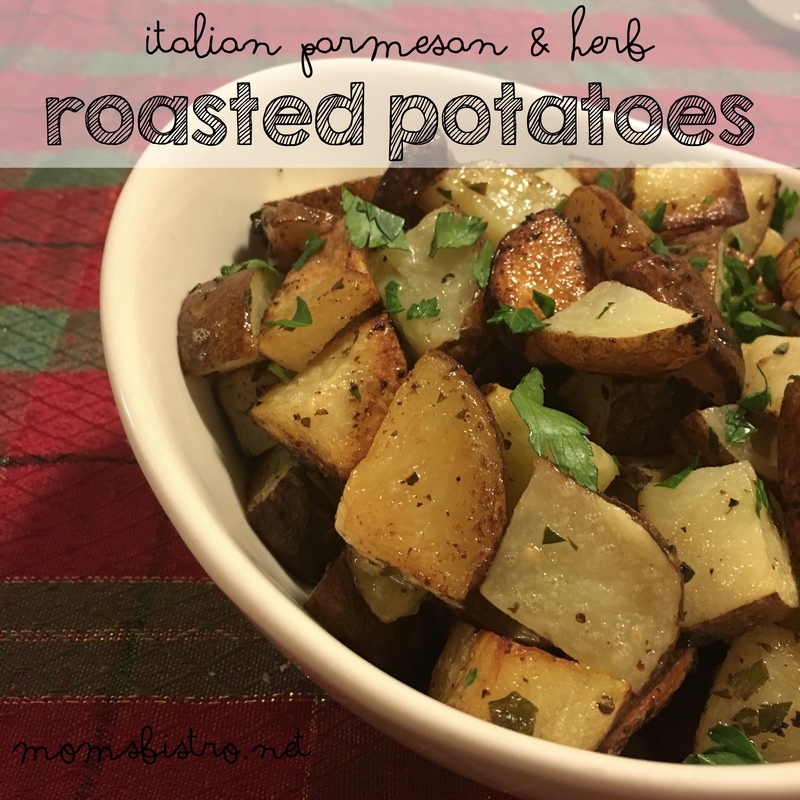 If you want the free printable recipe, click this link below for a free PDF version to add to your collection.